Kathryn Colley is an environmental social scientist whose research in the Social, Economic and Geographical Sciences (SEGS) group focuses on person-environment relationships. She has a first degree in Ecological Sciences (Edinburgh University), an MSc in Urban & Regional Planning and PhD in Urban Studies (both Heriot-Watt University). Kathryn is a mixed method researcher, combining quantitative and qualitative approaches to gain holistic and in-depth understandings of complex person-environment interactions in practice. 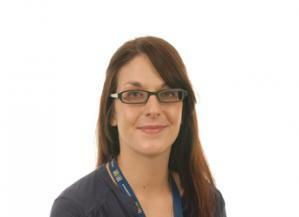 Kathryn completed her PhD at the School of the Built Environment at Heriot-Watt University in 2014. Her doctoral research focused on the health and wellbeing functions of greenspace in the context of peri-urban business sites. Prior to joining SEGS in September 2013 she worked as a social researcher in the Scottish Government's Rural and Environment Science and Analytical Services division, where her work focused largely on behaviour change for low carbon living. a) The role that physical landscape attributes and ecological characteristics play in processes of psychological restoration, place identity and attachment; and in shaping outdoor recreation behaviour and the experience of green/blue spaces. b) Understanding how personal and individual factors such as ecological knowledge, past experience, and nature connectedness interact in these relationships with landscape across the urban-rural matrix. A second strand of Kathryn's work focuses on understanding transitions to low carbon lifestyles at the individual and household level, with a focus on how subjective wellbeing and processes of identification (e.g. with particular social groups, roles or environments) relate to the performance of different types of pro-environmental behaviour. Irvine, K.N. ; Colley, K.; Currie, M. (2018) Capabilities for engagement with landscapes for wellbeing., RESAS RD 3.4.3 Working Paper, 31 March 2018. Conniff, A.; Colley, K.; Irvine, K.N. (2017) Exploring landscape engagement through a participatory touch table approach., Social Sciences, 6, Article No. 118. Colley, K.; Currie, M.; Irvine, K.N. (2017) Then and now: Examining older people’s engagement in outdoor recreation across the life course., Leisure Sciences. Published online. Colley, K.; Brown, C.; Montarzino, A. (2017) Understanding knowledge-workers’ interactions with workplace greenspace: open space use and restoration experiences at urban-fringe business sites., Environment and Behavior, 49, 314-338. Colley, K.; Brown, C.; Montarzino, A. (2016) Restorative wildscapes at work: an investigation of the wellbeing benefits of greenspace at urban fringe business sites using "go-along' interviews., Landscape Research, 41, 598-615. Gilchrist, K.; Brown, C.; Montarzino, A. (2015) Workplace settings and wellbeing: Greenspace use and views contribute to employee wellbeing at peri-urban business sites., Landscape and Urban Planning, 138, 32-40. Gilchrist, K.; Irvine, K.N. (2014) Scotland 2030: Picturing life in a low carbon Scotland., ClimateXChange Calldown from Low Carbon Behaviours Policy Team - Narrative for 2030.